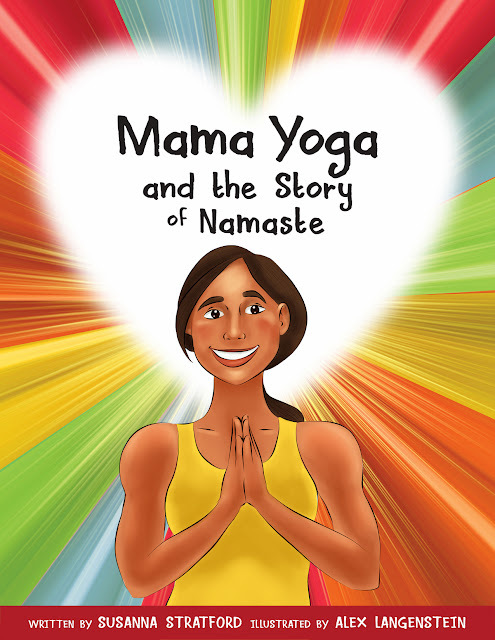 Mama Yoga and the Story of Namaste is a brightly colored children’s book written by Susanna Stratford. The book introduces Yoga to kids and shows how the various different poses like the Tree pose, Downward Dog pose, Plank pose, Aeroplane pose and other poses originate form. The book focuses on the importance of physical movement in children and how to relate them to a person’s well being. Mama Yoga brings the kids on an adventure across the different continents to find the meaning of Namaste. While doing the various different poses, the kids get in sync with their inner self. They learn about making positive choices and building up their own confidence. During the Yoga lesson there is not only physical but mental exercises which help them develop both their body and spiritual well being. I found this book an easy read. My 7 yr old also enjoyed reading through the book while looking at the colorful graphics on the different pages of the book. The yoga poses in the book are easy for kids to follow and I’m sure that any child would enjoy doing while reading the book.I personally have done yoga before and agree that it is a good way to get kids to exercise and be more flexible. The message that Susanna conveys of positive virtues through exercise is something unique to me and I find that this would be an excellent way of showing what kindness and respect means to kids. You can purchase the book from Susanna website for @ USD $20.